Second only to the chef, the management of your food service business will be the most important employees that you hire. The General Manager will oversee much of the operations while the assistant managers will keep the business running when the general manager cannot be there. All of these employees will be in charge of running the business, making critical decisions and working with the remaining staff. It is vital that you select the most qualified candidates for these positions if you want to see your business succeed. The job requirements for a general manager are: to manage the staff, order supplies, train new employees, manage the front of the house during meal service, customer service and take charge of regulatory inspections. This is a huge responsibility and one that needs to be filled with a well-trained person.. Create aGeneral Manager job description.Before you begin selecting candidates, you should write a full description of their job responsibilities and duties. This helps applicants know whether they qualify for the job even before the interview. If you have decided on the salary, make sure to include this information in your job description as well. This will help eliminate candidates who do not want to work for the salary you are offering. When you set out to find a General Manager, involve your executive chef in the process. These two will work closely together to ensure that your establishment runs smoothly and that yo ur customers are happy. They must be able to forge a good working relationship and get along. Once you hire a General Manager, they will usually hire the assistant managers whom they believe will do the best job, and with whom they can work best. Look at the past experience of your candidates to make sure that this experience will help them perform the job of General Manager. They must be able to handle many tasks that involve managing both the front of the house and the back of the house, so experience in all of these areas is vital. When you hire, no matter what the position is, references are important. However, for the General Manager it is vital. You need to not only collect reference information, but make sure to contact any and all references to verify that they have had a positive work experience with your potential manager. Some applicants will create references in the hopes that they will never actually be contacted. You can weed through these prospects by taking the time to make the calls, and make sure that you are considering someone who is honest, reliable and has the qualifications for the job. 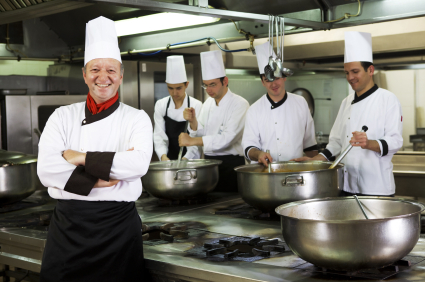 Finding a General Manager is an integral part of running a food service business. Taking the time to hire the most qualified applicant is certainly well worth the effort. With the right management staff you can relax knowing that your business is being well taken care of.